More than two hundred watches of the Reference 3646 are registered in our database today. 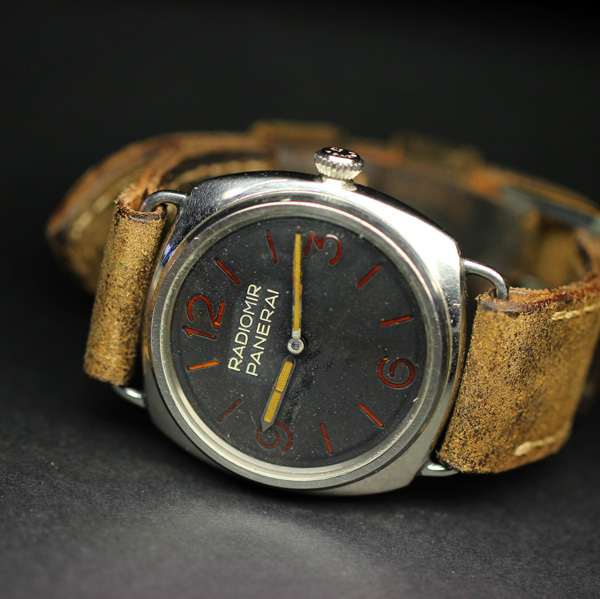 Among all different Vintage Panerai models, the 3646 marks the reference with the most known specimen in our records. 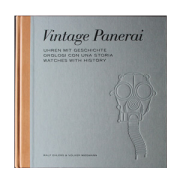 In 2009, eight years ago, 143 recorded watches were featured in the first (sold out) edition of our book “The References”. Within the entire serial number sequence of the reference 3646, we differentiate between seven different variations (3646 / Type A – Type G). The photo on the left shows a Ref. 3646 / Type C with “Radiomir Panerai” dial, which is featured in chapter II.III (page 306-321). 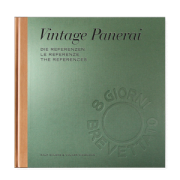 In our book “The References” 1930’s-1940’s the watches of the entire reference 3646 are featured in chapter II with more than six hundred pages in the chapters II.I-II.VII following an intro on page 40-49. The seven different variations can be found in our reference quickfinder on page 14-20. (featuring two different watches on page 50-169). (featuring four different watches on page 170-247). (featuring seven different watches on page 248-397). (featuring nine different watches on page 398-531). (featuring four different watches on page 532-573). (featuring two different watches on page 574-607). (featuring two different watches on page 608-645). See the different inner casebacks of Ref. 3646 / Type A – Type C watches here, as well as the inner casebacks of Ref. 3646 / Type D – Type G watches here. Enjoy reading! 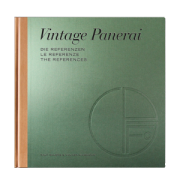 Our “The Reference” books are available in our bookstore.